At his first Grammy Awards, country music singer-songwriter Luke Combs had time to talk about his Valentine's Day plans! More here! The season of love is upon us and in just a few short days many will be celebrating Valentine’s Day! Whether it’s with a special someone or your family or even a few gals, there will not be a shortage of love on February 14th! Country star Luke Combs is no exception when it comes to celebrating the holiday, this romantic guy is cooking up something special! Recently engaged to Nicole Hocking, Luke revealed a little bit of what fans can expect for their Valentine’s Day plans. 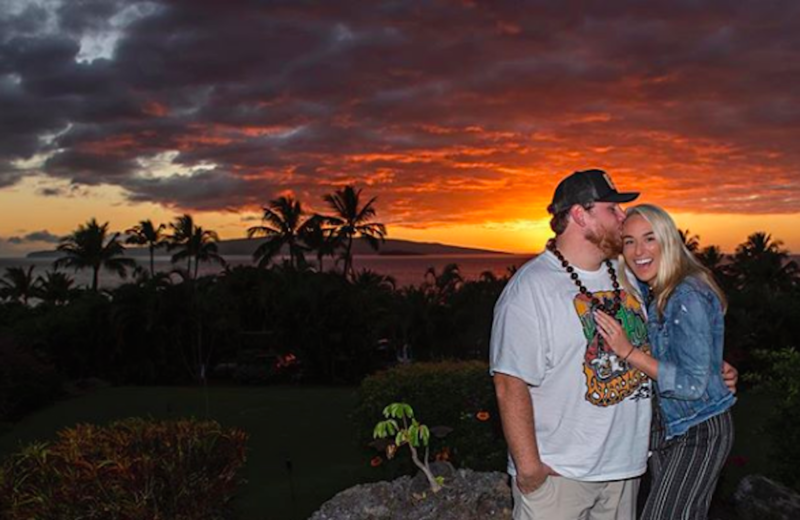 The duo got engaged last November on their Hawaiian trip but revealed to fans the proposal actually happened prior to jetting off to the sunny islands! The pair has been dating since 2016 and for tride and true Luke Combs fans, you know there weren’t any red carpets or top charting singles back then! But with a little bit of time, talent, and hard work Luke was able to prove them all wrong- big time! The singer became the first solo artist to achieve four straight No.1s! His album This One’s For You also held the No. 1 spot longer than any other album back in 2017! Luke’s success doesn’t seem to be winding down either, the singer was recently nominated for his first Grammy Award for best new artist and is currently on the road for his headlining tour! Regardless of where life takes him and his career, Luke is sure to have the lovely Nicole by his side! For more Luke Combs updates keep up with Country Fancast!